The Matterhorn (German), Monte Cervino (Italian) or Mont Cervin (French), is a mountain in the Pennine Alps on the border between Switzerland and Italy. Its summit is 4,478 metres (14,692 ft) high, making it one of the highest peaks in the Alps. 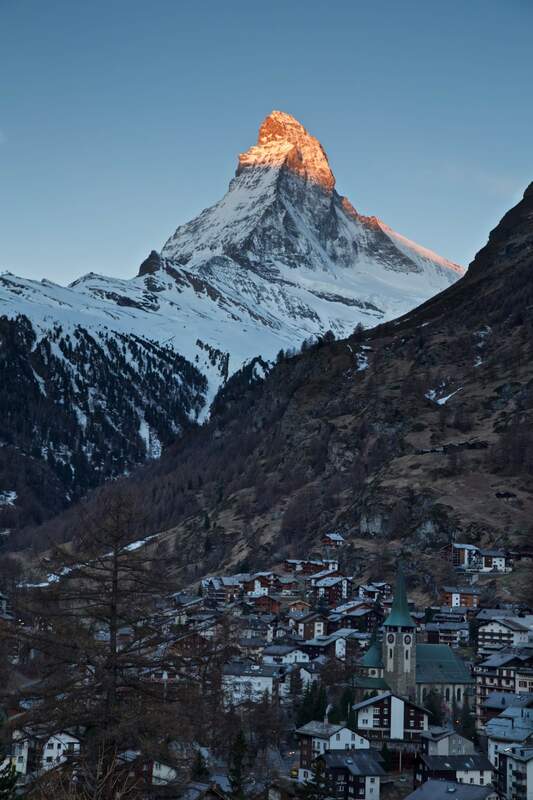 The Matterhorn was one of the last of the main Alpine mountains to be ascended, not because of its technical difficulty, but because of the fear it inspired in early mountaineers. On July 14, 1865, the party of Edward Whymper, Charles Hudson, Lord Francis Douglas, Douglas Robert Hadow, Michel Croz and the two Peter Taugwalders (father and son) were able to reach the summit by an ascent of the Hornli ridge in Switzerland.